All catered for by a team of highly professional Therapists, Holistic Therapists, Hair Dressers and Make-up Artists. Pamper yourself in the comfort of your own home, with 15 years experience of beauty therapy. As a spa trained beauty and massage therapist with over 15 year’s experience within the beauty industry, I created Becky Brown Beauty to offer a complete mobile beauty service. You can choose from a wide range of treatments in the convenience and comfort of your own home, work place or hotel. Over the years I have built up a loyal client base in and around Hampshire, Surrey and West Sussex providing luxury Beauty and Massage treatments. Pre-Wedding pamper packages and prom/teen parties are also available or why not get together with a few friends for a pamper party at the end of a busy week. I also have a beautiful, relaxing treatment room in the village of North Waltham, near Basingstoke. There is ample free parking and I can offer evening and weekend appointments. 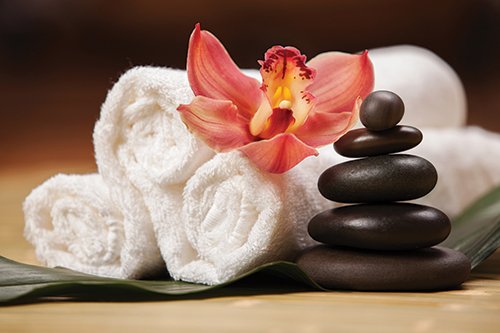 I cover all aspects of beauty therapy, but specialise in relaxation and wellbeing. I take great pride in my work and client satisfaction is extremely important as my business is built upon reputation and testimonials. Special events and large group bookings can also be catered for, as I have a team of highly qualified and professional Therapists, Holistic Therapists, Hair Dressers and Make-up Artists that I can call upon if required. The treatment length is for the full time stated, and only starts once the consultation is complete. With this in mind, please allow enough room and time for me to set up my equipment and clear away afterwards. For all new clients, please complete a consultation form which can be downloaded from my website. Examples of my work and a selection of my fabulous client reviews can be found on the Testimonial and Treatment pages. I look forward to hearing from you with your beauty requirements.